In this episode of Nick Catone MMA Radio we interview Corey Anderson as he prepares for the main event at UFC London on March 18th. We will discuss a variety of topics with Corey including his fight camp, sparring tips, and training regimen. In addition we will talk about the importance of his coaches and teammates and fighters that he likes to learn from. Last but not least we will review Anderson’s strategy for the fight and career goals. As always you can follow us at ncmmaradio.com. 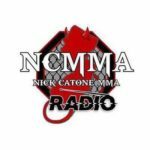 You can catch all episodes of NCMMA Radio on MyMMANews here. ​THE GOAL OF OUR PROGRAM IS TO HELP PROMOTE THE WORLD OF MIXED MARTIAL ARTS AND SHARE SOME INSIGHT INTO THE LIVES AND TRAINING OF TODAY’S FIGHTERS. OUR SHOW WELCOMES GUESTS FROM EVERY ASPECT OF MMA, BOTH AMATEUR AND PROFESSIONAL.